Bolivia fell two positions in an annual measurement regarding the functioning of the Justice, according to the latest report presented by the international civil association World Justice Project. 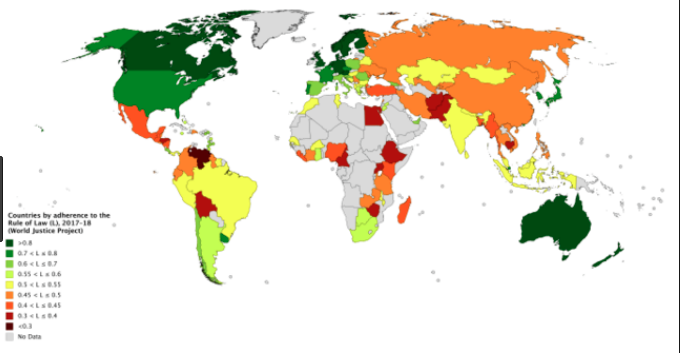 The measurement includes 113 countries adhering to the Rule of Law. According to the management report 2017/2018, Bolivia fell two places and was ranked 106th in the ranking among the 113 countries that adhere to this model. 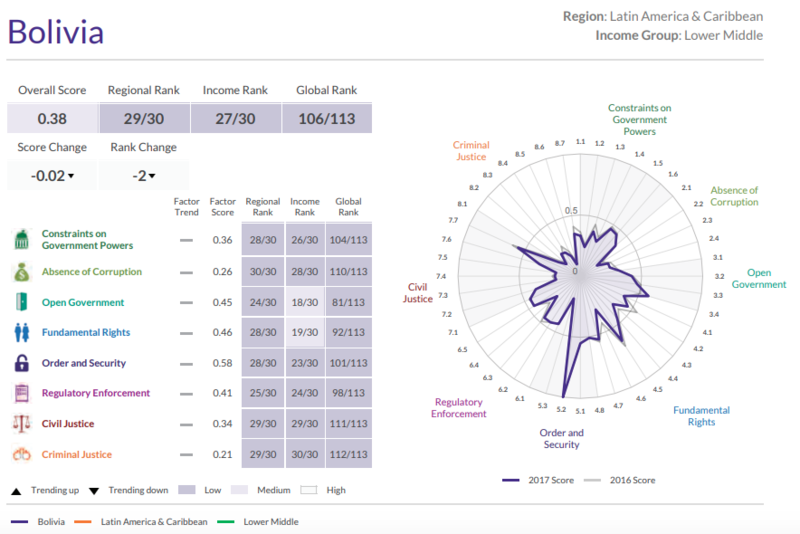 The overall score of Bolivia is 0.38, on a scale ranging from 0 to 1, where 1 indicates the highest adherence to the rule of law. The report makes a separation by regions, Latin America and the Caribbean is made up of 30 nations, the country with the best positioning is Uruguay with a grade of 0.71, while the last position is for Venezuela, with 0.29. 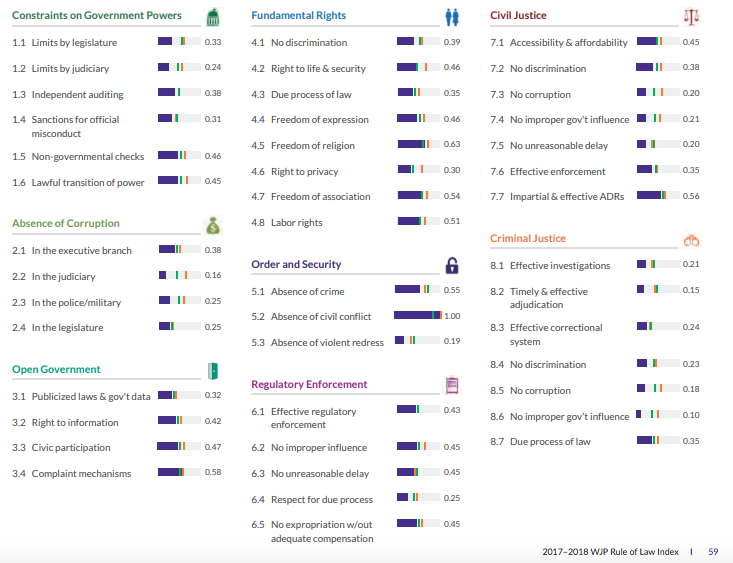 The annual measurement carried out in 113 countries allows to have data on eight dimensions, which for Bolivia show the general measurement: Restrictions on the powers of the government, position 104; Absence of corruption, 110; Open Government, 81; Fundamental rights, 92, Order and security, 101; Regulatory compliance, 98; Civil Justice, 111 and Criminal Justice, 112.